Bob Happy has nearly 35 years of experience providing expert leadership and direction to clients across the not-for-profit sector. During his career, Bob has served more than 2,000 clients and has guided them to raise more than $2,000,000,000. 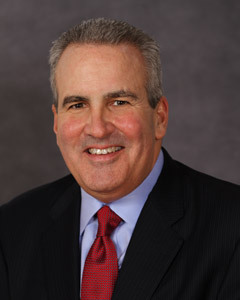 Before forming Averill Solutions, Bob served as the Executive Vice President and Chief Operating Officer of the nation’s largest fundraising firm. Thus, he brings unusual management and leadership experience to each client and project. Bob Happy is a recognized industry leader, sought after speaker, and trainer and instructor. He has mentored hundreds of professional fundraising practitioners and many have joined him at Averill Fundraising Solutions. Bob graduated from Fairfield University in Fairfield, CT. Bob resides in New York City with his two children. He enjoys cooking, golf, gardening and travel.